On Sept. 30, students and staff across Delta School District wore orange to remember the legacy and lasting impact of residential schools. Oct. 6, 2016 12:00 p.m.
Delta schools were awash in orange last week to remember the terrible legacy and lasting impact of Canada’s residential schools. On Sept. 30, students and staff across the Delta School District wore orange shirts to honour the children who survived Residential schools and remember those who didn’t. As a part of the Orange Shirt Day initiative, students spent time learning about and having discussions relating to truth and reconciliation and the history of the residential school system. 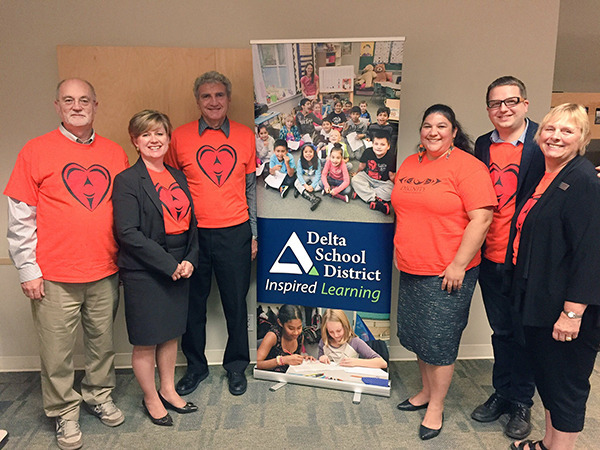 “My fellow trustees and I, along with staff and students, are wearing these shirts as reminder that every child matters and our ongoing commitment to truth and reconciliation,” said Delta School Board Chairperson Laura Dixon. Although the initiative is in its third year, this was Delta School District’s first time participating in Orange Shirt Day. Diane Jubenville, district vice-principal of Aboriginal programs, said it’s merely the beginning for the district and that Orange Shirt Day is just a step in our long journey to understanding and reconciliation. Orange Shirt Day is a legacy of the St. Joseph’s Mission residential school commemoration event held in Williams Lake in the spring of 2013. It grew out of a girl named Phyllis Webstad’s account of having her pretty orange shirt taken away on her first day of school at the Mission, and now Orange Shirt Day has become an opportunity to keep the discussion about residential schools happening across the country. 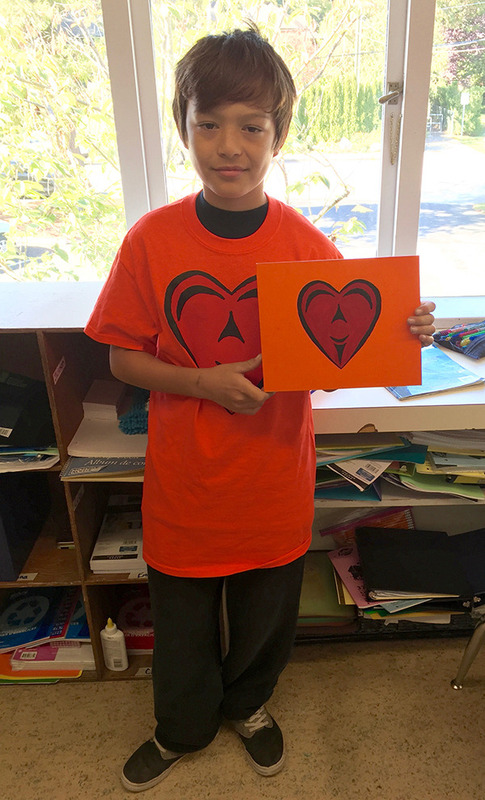 Vincent Morgan (pictured), a Grade 6 Tsawwassen First Nations student attending Cliff Drive Elementary, created the de- sign on the t-shirt worn across the district on Orange Shirt Day. The Delta Teachers Association and the Delta School District worked collaboratively on this important project.